Keep Rockin'—add roxwel@roxwel-mail.com to your address book. Paulina Wilson thinks you'd like this video on Roxwel.com. Paulina Wilson says: My name is Paulina Wilson. I am writing this mail to call for your collaboration in a partnership business in your country, I have some money which i will like to invest in your country in profitable business under your control as my business manager.I am sorry for contacting you through this medium without a previous notice, I had to use email to communicate with you because it is an official and more confidential way of making contact with people around the world.Note if I receive a positive response and proper reply showing your interest in this business relation, I will furnish you all relevant information that will facilitate this business investment. I know this means of communication may not be morally right to you as a person but I also have had a great thought about it and I have come to this conclusion which I am about to share with you.I will advise you to reply me through this my private email at (paulina_wwilson@ymail.com) for more details about me and this business. You are receiving this email because a friend has sent you a message from Roxwel.com. Fwd: present status of our country as other perceive it. Is the nation in a coma? Europeans believe that Indian leaders are too blinded by new wealth and deceit to comprehend that the day will come when the have-nots will hit the streets. The other panelists were senior officials of two of the largest carmakers and two top insurance companies — all German multinationals operating in India. The panel discussion was moderated by a professor from the esteemed European Business School. The hall had an audience that exceeded a hundred well-known European CEOs. I was the only Indian. After the panel discussion, the floor was open for questions. That was when my "moment of truth" turned into an hour of shame & embarrassment — when the participants fired questions and made remarks on their experiences with the evil of corruption in India. The awkwardness and humiliation I went through reminded of The Moment of Truth, the popular Anglo-American game. The more questions I answered truthfully, the more the questions got tougher. Tougher, here means more embarrassing. Questions ranged from "Is your nation in a coma? ", the corruption in administration, even in judiciary, the possible impeachment of a judge, the 2G,telecom scam and to the money in billions, parked illegally in tax havens. Let me substantiate this further with what the European media has to say in recent days. In a popular prime-time television discussion in Germany, the panelist, a member of the German Parliament quoting a blog said: "If all the scams of the last five years are added up, they are likely to rival and exceed the British colonial loot of India of about a trillion dollars." One German business daily which wrote an editorial on India said: "India is becoming a Banana Republic instead of being an economic superpower. To get the cut motion designated out, assurances are made to political allays. Special treatment is promised at the expense of the people. So, Ms Mayawati who is Chief Minister of the most densely inhabited state, is calmed when an intelligence agency probe is scrapped. The multi-million dollars fodder scam by another former chief minister wielding enormous power is put in cold storage. Prime Minister Manmohan Singh chairs over this kind of unparalleled loot." 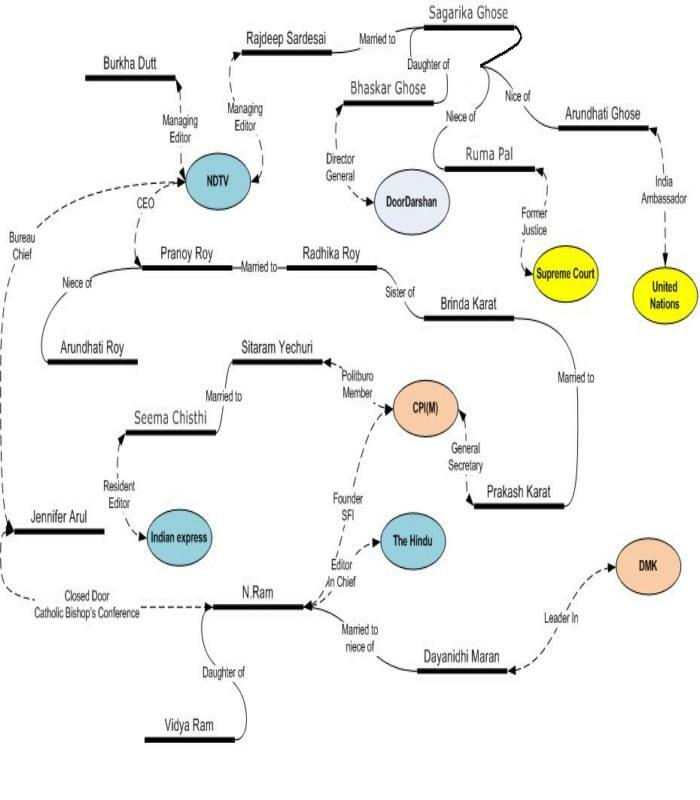 An article in a French newspaper titled "Playing the Game, Indian Style" wrote: "Investigations into the shadowy financial deals of the Indian cricket league have revealed a web of transactions across tax havens like Switzerland, the Virgin Islands, Mauritius and Cyprus." In the same article, the name of one Hassan Ali of Pune is mentioned as operating with his wife a one-billion-dollar illegal Swiss account with "sanction of the Indian regime". A third story narrated in the damaging article is that of the former chief minister of Jharkhand, Madhu Koda, who was reported to have funds in various tax havens that were partly used to buy mines in Liberia. "Unfortunately, the Indian public do not know the status of that enquiry," the article concluded. "In the nastiest business scam in Indian records (Satyam) the government adroitly covered up the political aspects of the swindle — predominantly involving real estate," wrote an Austrian newspaper. "If the Indian Prime Minister knows nothing about these scandals, he is ignorant of ground realities and does not deserve to be Prime Minister. If he does, is he a collaborator in crime?" The Telegraph of the UK reported the 2G scam saying: "Naturally, India's elephantine legal system will ensure culpability, is delayed." My(MOHAN'S) father, who is 81 years old, is utterly frustrated, shocked and disgruntled with whatever is happening and said in a recent discussion that our country's motto should truly be CHANGED TO Asatyameva Jayete. Perhaps we are the architects of our own misfortune. It is our sab chalta hai (everything goes) attitude that has allowed people to mislead us with impunity. No wonder Aesop said. "We hang the petty thieves and appoint the great ones to high office." One month before he passed away in December 1950 and a good 12 years before the Chinese attacked India in 1962, Sardar Vallabhbhai Patel had drawn Prime Minister Jawaharlal Nehru's attention to Beijing's shenanigans and warned him against trusting the neighbour. In a letter to Nehru, which finds place in JN Dixit's book, Makers of India's Foreign Policy: From Raja Ram Mohan Roy to Yashwant Sinha, Sardar Patel noted that the "Chinese Government has tried to delude us by professions of peaceful intent". Nehru did not heed his Home Minister's advice, and the nation paid the price. 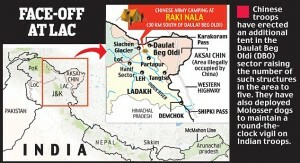 Now, we have yet another Congress regime which is showing a similar disastrous tendency in the wake of many recent Chinese incursions into Indian territory, including the very latest at Daulat Beg Oldi in Ladakh sector, where China's Army personnel have pitched their tents for more than a fortnight now. The question is not if, but when will India pay another price for its meekness? The context of Sardar Patel's letter may have been different from the crisis that we have today. He had concentrated his concerns over Beijing's designs in the North-East and along the Tibet border. But the larger narrative then, as it is now, remains the same: That New Delhi must stop appeasing China and taking the latter at face value. Instead, it should be assertive and aggressively mindful of its sovereignty and security needs. Contrast our virtual state policy today to bend over backwards to please China with that of Sardar Patel's strong disapproval of our then Ambassador to China's supine overtures to Beijing. On the issue of settling its dispute with Tibet, China had apparently so softened up the Indian Ambassador that the latter had turned almost apologetic about having sought a clarification from Beijing on its intentions regarding Tibet. Patel wrote, "Our Ambassador has been at great pains to find an explanation or justification for Chinese policy and actions". Does a similarly pathetic attempt to be an apologist for China not resonate today? 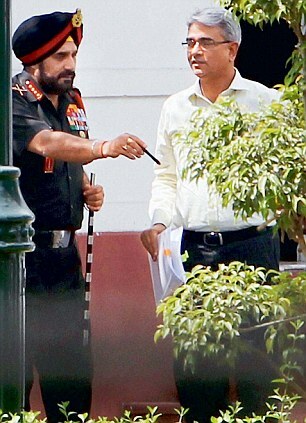 Various senior Ministers of the UPA regime too have taken great pains to explain away the latest incursion. Union Minister for Home Affairs Sushil Kumar Shinde justified the intrusion on the ground that it was in a "no man's land", while Union Minister for External Affairs Salman Khurshid trivialised the incident as an "acne" that will go away with the application of an "ointment". Would these worthies have dared to make such foolish remarks if they were answerable to a man of Sardar Patel's stature? In his letter, Patel dealt in detail on why we should have been proactive on the Tibet issue. The Tibet matter is now considered settled, with New Delhi accepting the region as a legitimate part of China. But, while we have been so accommodating to Beijing even in the face of protests by the Tibetan people, China has showed no such consideration to our sensitivities on the border issue. Back in 1950 even, as the then Home Minister pointed out, Beijing had been treating India with disdain. He drew Nehru's attention to the fact that "even though we regard ourselves as the friends of China, the Chinese do not regard us as their friends… this is a significant pointer which we have to take due note". Nehru did not take due note then, and Manmohan Singh is not taking due note now. Patel did not stop at that. He pointed to the language the Chinese had used in their correspondence with New Delhi on a range of issues including India's so-called proximity with the West and its stand on Tibet. Referring to one such correspondence, he said, "Their last telegram to us is an act of gross discourtesy not only in the summary way it disposes of our protest against the entry of Chinese forces into Tibet but also in the wild insinuation that our attitude is determined by foreign influences. It looks as though it is not a friend speaking in that language but a potential enemy". How prescient Sardar Patel had been to call China a "potential enemy"! In recent times, leaders such as George Fernandes and Mulayam Singh Yadav, besides those of the BJP, have taken a similarly realistic line. Sardar Patel was scathing in his observation over the manner we had been appeasing China, and said the nonsense had to end. In the November letter, he bluntly told Nehru, "I doubt if we can go any further than we have done already to convince China of our good intentions, friendliness and goodwill". But here Patel was wrong; in subsequent years, particularly during the last decade, India has gone further than he would have imagined. Indeed, we were to go 'further' soon after Patel's demise, when Nehru, now free from constraint, revelled in his ill-conceived Hindi-Chini bhai bhai campaign. Patel had understood the Chinese better than not just many of his peers but also those who followed him in politics and other public space. He wrote in the letter to Nehru, "Chinese irredentism and communist imperialism are different from the expansionism or the imperialism of the Western powers. The former has a cloak of ideology which makes it ten times more dangerous". This should serve as a corrective lesson to those who today believe that the regular Chinese intrusions are 'localised' developments and are unrelated to larger ideological or military goals which Beijing is pursuing in its neighbourhood — on land and in water. The frustrations of the Iron Man must be placed in the context of recent developments in one other aspect: India's consistent attempt to boost China's image before the world even as Beijing does everything to ridicule New Delhi in the international community. For instance, China made fun of India when the latter successfully tested the inter-continental ballistic missile, Agni V. Is this how one friend behaves with another? 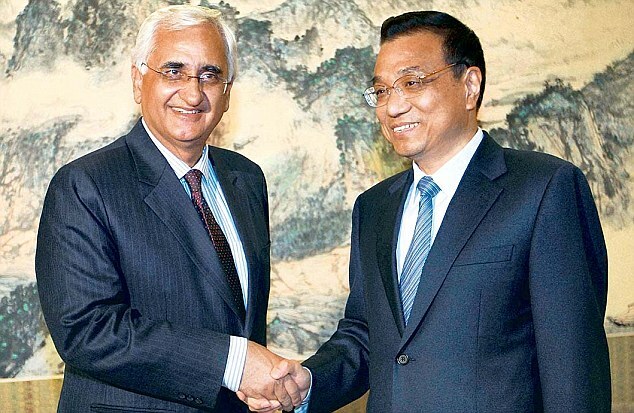 In Patel's time, the Prime Minister had spoken about China's 'goodness' to all and sundry abroad and even gone to the extent of seeking a permanent place for Beijing in the US Security Council. Patel had referred to that rather sarcastically in his letter, "During the last several months, outside the Russian camp, we have been practically alone in championing the cause of Chinese entry into UN and in securing from the Americans assurances on the question of Formosa. We have done everything we could to assuage Chinese feelings…"
One of the suggestions with which Sardar Patel rounded off his letter to the Prime Minister was this: "An examination (must be done) of military position and such redisposition of our forces as might be necessary, particularly with the idea of guarding important routes which are likely to be the subject of dispute". Had Sardar Patel been alive, how would he have dealt with the recent Chinese misdemeanour? Perhaps the Chinese wouldn't have dared to intrude in the first place. 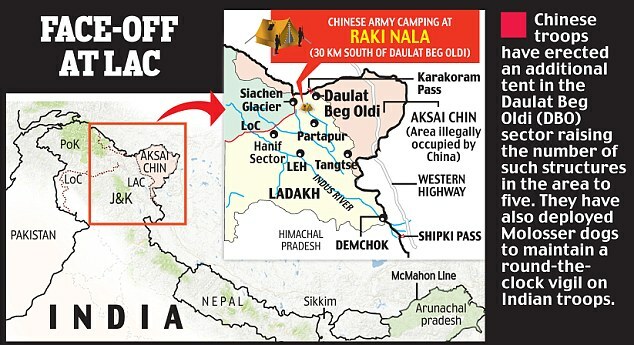 The Chinese had come in, pitched their tents for almost three weeks well inside the Indian territory - initially it was said that they had come in some 10 KMs inside and later announced that it was 19 KMs - and after three futile flag meetings they themselves have withdrawn, as per the latest media reports. These three weeks have seen a flurry of activity in India. The Government, the Opposition, the Army, the media and the intellectuals everybody was seen reacting to the blatant violation of Indian sovereignty by the Chinese Army. As usual, the Government response has been lacklustre and devoid of any commitment or vision about India's territorial integrity. It appeared clueless as to how to handle this blatant and belligerent aggression of China and waiting with fingers crossed for the miracle of the Chinese' withdrawal. Rather than reassuring the nation about their commitment and ability to protect Bharat's territorial integrity their response betrayed only their confusion, rhetoric and a very political attitude of trying to underplay things with a view to misleading the nation. The Prime Minister called it a 'localised issue' while the Foreign Minister repeated the same old myth that the boundary between the two countries has not been demarcated so far. 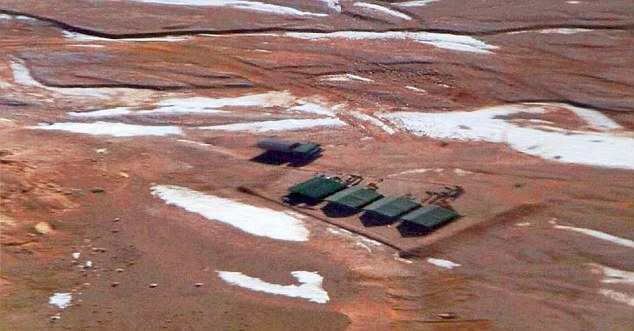 It is a myth because the Chinese side has not deliberately supplied the border maps for last twenty years in spite of the understanding for exchange of the same. That we have clearly demarcated LAC and that has been violated by the Chinese, and this violation is not a lone incident and it has happened more than a thousand times in last three years ...... all these facts have been suppressed from the countrymen. In stead our Foreign Minister is repeating the same argument that the Chinese Foreign Minister had made a couple of days ago, that there was a 'perceptional difference over the boundary line'. This kind of self-deception would be suicidal for the nation. The Government's attitude amply demonstrates that after 50 years of the 1962 Chinese Invasion we have not learnt any lessons about our preparedness nor have we understood the Chinese machinations. We are committing the same follies that Pt. Nehru had committed, of trying to appease the aggressors, downplaying the possible consequences and betraying the laughable innocence that everything can be settled through talks. We are in the 50th year of the disastrous Sino-Indian War. There is nothing to celebrate. But it certainly is a time for the Government to revisit the 1962 experience, learn lessons and show maturity and courage in handling the impending situation. As part of his obsession with Panchsheel Prime Minister Nehru used to often talk about the principle of 'Peaceful Coexistence' between neighbours India and China. In a tactical and timely response to that, Chairman Mao had famously observed in 1961 that what India and China should learn is 'Armed Coexistence'. It was too late for India to understand the import of Mao's observation and the '62 War resulted in a humiliating defeat because of our unpreparedness. In fact that was a war that India had never fought. Time has come for Bharat to understand the rules of engagement with China. It is pertinent here to refer to a Resolution that was passed by the RSS at its Akhil Bharatiya Pratinidhi Sabha (ABPS) in March 2011. "The Akhil Bharatiya Pratinidhi Sabha expresses serious concern over the growing multi-dimensional threat from China and the lackluster response of the Government of Bharat to its aggressive and intimidator tactics. Casual attitude and perpetual denial of our Government in describing gross border violations by the Chinese People's Liberation Army as a case of 'lack of common perception on the LAC', attempts to underplay the severe strategic dissonance between the two countries and failure to expose the expansionist and imperialist manouvers of China can prove fatal to our national interests", the resolution warned. It made the following recommendations to the Government with regard to India's relations with China. "1. Reiterate the Parliament's unanimous resolution of 1962 to get back the territory acquired by China to the last inch. 2.Take effective measures for rapid modernization and upgradation of our military infrastructure. Special focus should be on building infrastructure in the border areas. Towards that, constitution of a Border Region Development Agency should be considered which would help prevent the migration of the people from the border villages. 3.Use aggressive diplomacy to expose the Chinese' designs globally. Use all fora including ASEAN, UN etc for mobilizing global opinion. 4.Disallow Chinese manufacturing industry free run in our markets. Prohibit Chinese products like toys, mobiles, electronic and electrical goods etc. Illegal trade being carried out through the border passes must be curbed with iron hand. 5.Follow strict Visa norms and maintain strict vigil on the Chinese nationals working in Bharat. 6.Restrict the entry of Chinese companies in strategic sectors and sensitive locations. 7.Mobilize the lower riparian states like Myanmar, Bangladesh etc to tell China to stop their illegal diversion of river waters." All these suggestions are very important. But how far the Government can show the determination to take on the aggressive neighbour is a big question. China has cancelled the meeting of the Finance Ministers of Japan, S Korea and China as a mark of protest to the visit of some Japanese Parliamentarians visiting the controversial Yasukuni Shrine in Tokyo where the graves of the World War 2 Generals of Japanese Army are situated. That is how swiftly China reacts to any insult to its sovereignty even if it happens in some other territory. The unwillingness of the Government to not announce the cancellation of the visit of our Foreign Minister to China later this month is baffling. In fact we should also unilaterally call off the forthcoming visit of the Chinese Premier Li Keqing towards the end of May. Bilateral economic relations also must be reviewed from the national security angle. Our Government underplays the fact that we share a huge trade deficit in bilateral trade with China with $60 billion imports and $10 billion exports. We must drastically curtail this trade to protect our economy from being sucked in by China, even if that meant tightening our belts and spending some extra dollars for imports from other countries. Lastly, and most importantly we must not repeat the mistake of 1962 by thinking that it was a 'localised problem' borne out of 'perceptional differences' over 'un-demarcated' boundary. It is unfortunate that some intellectuals were seen trying to minimise the import of the Chinese aggression by claiming that the internal politics in China and troubles in leadership transition were responsible for the Chinese' actions. Some of them even tried to indirectly blame Bharat claiming that our border infrastructure building activity must have been the provocation for the Chinese actions. Our Government should not be influenced by such misleading 'expert opinion'. Any complacency in addressing the challenge thrown by China through this open aggression will prove very costly. Our Government must pursue the policy of strengthening border infrastructure on Indo-Tibetan border with much more vigour and perseverance. Special attention should be paid to the borders in Arunachal Pradesh like the Tawang region anticipating surprise aggression by China. Bharat has historically practiced the principle of world peace. However, it should not forget the dictum that 'to be prepared for war is the best way of ensuring peace'.